I played the original Titanfall for two weeks. I liked it, but then quickly forget it existed. I call this the “Titanfall effect.” It’s that, “oh yeah that was a good game” feeling… followed by having no desire to play. Did EA know this, and decide to just ‘Titanfall effect‘ their launch of Titanfall 2? Titanfall 2 launched on October 28th, and I bet the world had no clue. EA decided to launch Titanfall just one week after Battlefield 1. ONE WEEK! Why? They also chose to release it the week before their biggest competition launched Call of Duty Infinite Warfare. The very notion baffles me. 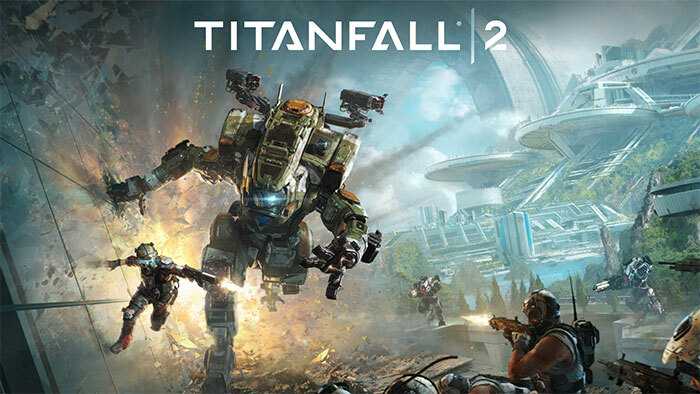 Having played Titanfall 2, I can tell you it’s not a bad game at all. Really. In fact, it’s a lot of fun. It’s actually a great step up from the original. Titanfall 2 plays like Call of Duty in many ways. The maps are on the smaller side (though much larger than the original) creating more of a ‘fragbox’ feel, and you’re never more than a few seconds away from an enemy. Gunplay feels tight and actually phenomenal compared to so many other shooters too — again, I say the same thing about CoD. The average map has me running along walls, parkouring all over the place, and pulling off ridiculously over-the-top moves to out maneuver the enemy. I’d say 90% of the “skill” is not in shooting your guns well (Battlefield), but instead in how you can manipulate terrain and use your movement to out-pace the opponent. Grapples, wall-running, ninja stars, you name it. It’s there. And it’s wicked fast (did I just say wicked? I feel like it’s necessary here). Titanfall 2 makes CoD feel slow to me, and Battlefield feel like a walk with my grandma. 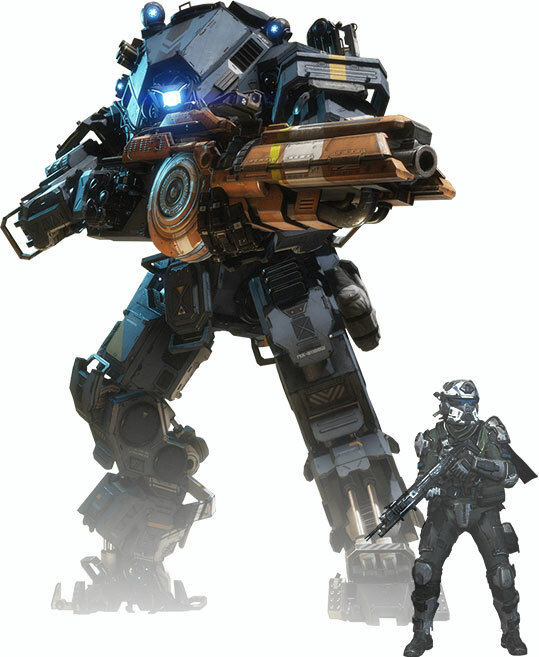 Where Titanfall stands out as more than just a generic fast-paced futuristic shooter is in its Titans. These mech-like battle suits are taken up a notch in Titanfall 2. There are now more titans, more weapons, and more abilities. Titanfall 2 does such an awesome job at immersing you in the Titan experience too. Jumping into one from various angles, or having your Titan grab you and pull you into your seat… it’s just so satisfying. My gripes are mostly with map size and design. The maps are small and the gameplay is so fast that I often feel like it’s too hectic. Sniping is stupid since people move so fast, and when everyone has a Titan things become chaotic. The maps are also a bit forgettable and generic, though I’m still giving them credit for improving upon the original. Overall, Titanfall 2 is a fantastic shooter. I highly recommend it for anyone looking to scratch that ridiculously over-the-top futuristic shooter itch, but can’t bring themselves to play another Call of Duty. Seriously, Titanfall 2 offers something different, and I have NO IDEA why EA launched it within a window akin to a death sentence. Major fail, EA. Note: Graev and I play the PC version. If you’re a console fan, I hear great things about both communities. There are fewer PC players, but getting a match going isn’t hard. Singleplayer is actually pretty good, too. How many hours do you think single player has? I’d say at least 8 for sure. Graev may have beaten it already so I’ll ask him. In Graev’s words its the best single player in a shooter.